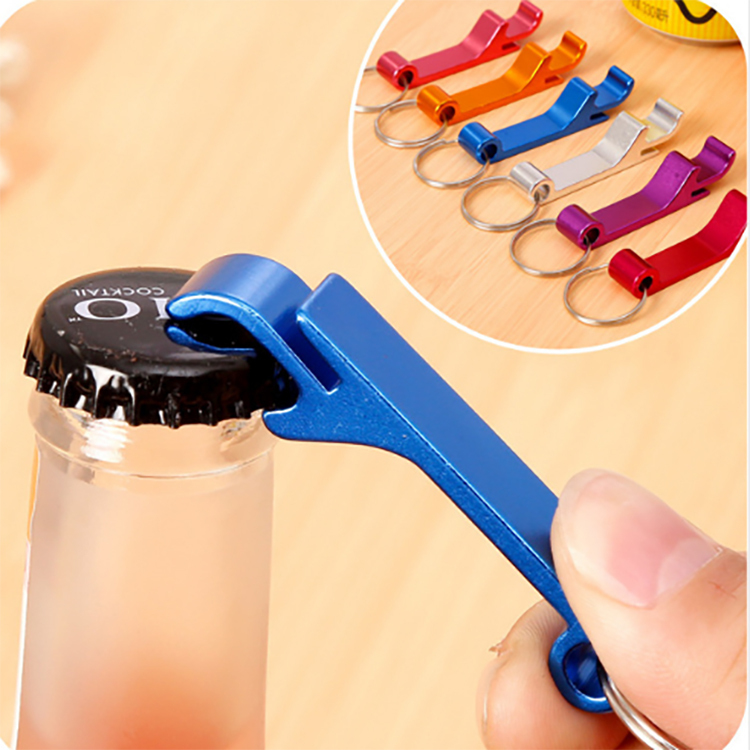 Double-Sided Opener Keychain—Your customer can easily open beer and soda with an aluminum bottle opener and is willing to keep this convenient bottle opener anytime, anywhere. The size is 2 3/8" L x 3/8"W. The sturdy aluminum beverage opener key ring is designed for versatility and is available in a variety of colors. Laser engraved tones. Our convenient aluminum opener and key label allow effortless opening of the bottle or pull ring can. The split ring is easy to carry. Suitable for restaurants, camping, trade shows, conferences and fundraising events. Printed with a custom logo. The price includes 1 color 1 side 1 position and screen imprint.